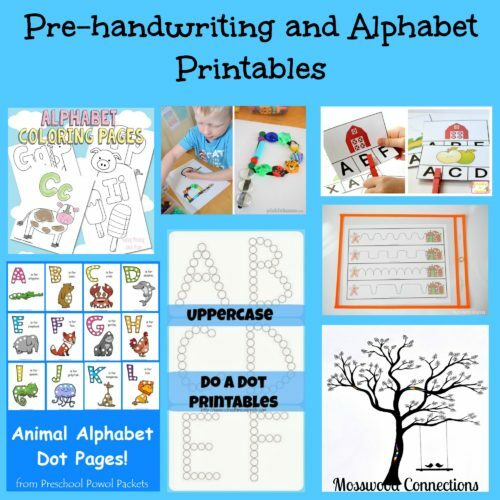 We asked some talented parents, educators, and bloggers for their best Pre-handwriting and Alphabet Printables and they responded with a wealth of learning activities! You will find the perfect activity for your children to learn letter recognition and letter formation with this collection of Pre-handwriting and alphabet printables. In fact, we found so many awesome activities it will be difficult to choose just one. Have fun exploring the alphabet with the kids. Children will laugh as they learn with any of these activities! Learn all about how children learn writing and drawing skills and encourage children to color, draw, and write in this informative post from Teacher Types. There is a wealth of information here for you! This pre-handwriting activity from Rainy Day Mum inspired from the book Llama Llama Red Pajama will teach children to have more control over their writing skills. Use the printable dice to choose what to draw next. It turns pre-handwriting into a fun game. Kids love animals and this A-Z Animal Alphabet Dot Pages Collection from Preschool Powel Packets is super cute! Use stickers or dot markers for this hands-on alphabet practice. Tot Schooling has some adorable Alphabet and Picture Tracing Worksheets available. Letter formation will be far more enjoyable for the kids with these simple but cute tracing and coloring pages. School Time Snippets has a whole collection of Alphabet Dot to Dot Printables. 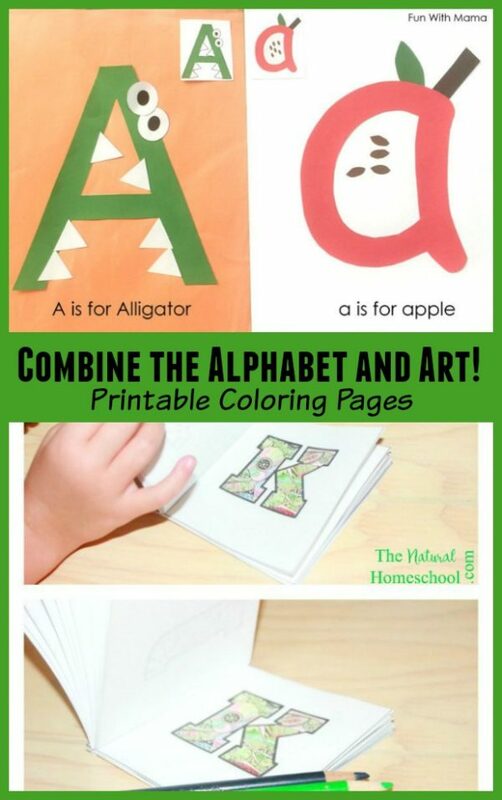 Make an adorable alphabet book while the kids build their letter formation skills. Use the attractive printable alphabet pages from Easy Peasy Learning to practice letter tracing and coloring. We love Magna-Tiles and the kids do, too. So we are super excited about this Magna-Tiles letter formation activity from Adventure in a Box. It’s a great way to use Magna-Tiles. 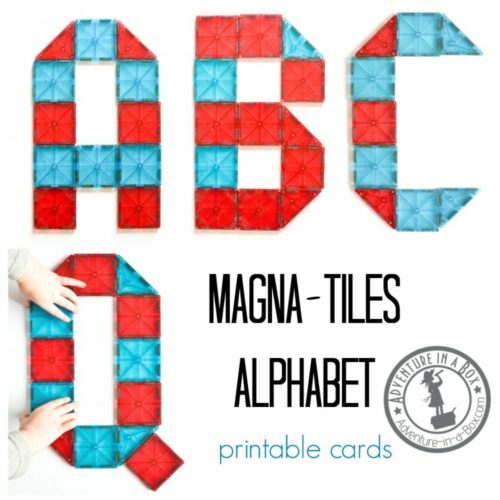 Picklebums has a fun Alphabet Patterns activity for you. Kids can use manipulatives and learn letter formation with these awesome free printables. Kids will have a great time learning all the letters with these free printable alphabet coloring pages from Easy Peasy and Fun. Children enjoy coloring pages and the graphics are super cute. Along with writing letters, children need to be able to recognize upper and lowercase letters. Schooling A Monkey has some fantastic farm printable cards to help your children learn letters. Combine learning the letters in their name with coloring bear paws and the kids will be happy. Rainy Day Mum has printable Bear Paws that can be customized to spell any name. Try this engaging Easy and Free Beginning Letter Sound Match from You’ve Got This Math. Kids will learn the sounds of the letters by matching letters to the beginning sound in familiar words. Combine the Alphabet and Art! Fun with Mama has Printable Alphabet Letter Crafts – All Letters available for you to download and do with the kids. The kids will learn the alphabet as they do a craft project. What could be more fun? Make an amazing and beautiful Alphabet Book with these truly spectacular Alphabet Coloring Pages from The Natural Homeschool. The kids will want to read their alphabet book again and again. 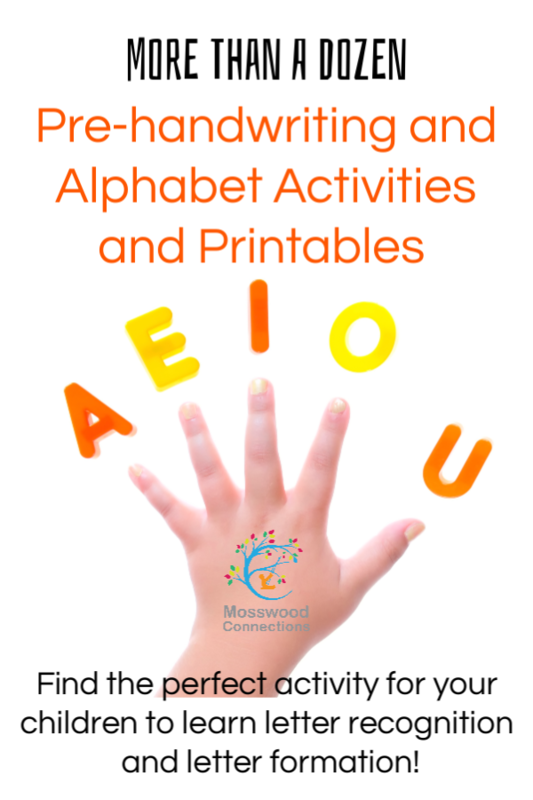 The kids are sure to have fun practicing their pre-handwriting skills and learning the alphabet with all of these fantastic Pre-handwriting and alphabet printables. Which one is your favorite?